The Faculty of Humanities & Citizenship includes the Geography, History, Modern Studies and Religious, Moral & Philosophical Studies (RMPS). The courses provided by these departments develop research, analytical, evaluative and organisational skills and aim to help young people develop an understanding of the changing world around them with focus on physical, social, economical, political and philosophical issues. The subjects studied in these departments have broadly similar approaches, methodologies and skills. In S1 to S3 Geography provides opportunities to discover the impact forces such as ice, rivers, wind, coasts and tectonics have on the landscape and develop an understanding of the interaction between these forces. Geography also builds on previous knowledge of different population structures through exploring aspects such as demographics, migration and the effects of population growth. Mapping skills are developed progressively using maps in a variety of contexts. The main stages of progression within these skills would be: using and making simple maps; using and interpreting maps; using thematic maps and mapping conventions; using map information to support conclusions. Throughout this process, learners will develop their own mental map to be able to recognise and locate a range of key features at the local, national and global levels. In the Senior school, S4 to S6, Geography continues to build on previous knowledge of the world’s physical features, including landscape and atmosphere -how they change and how people live with the landscape and atmosphere. The subject looks at weather, the environment and the forces that drive the planet, from tides to volcanoes. As well as using maps and diagrams, learners will get involved in practical fieldwork activities – to help them observe Geography in action. They will develop skills in research, analysis, presentation and solving problems. 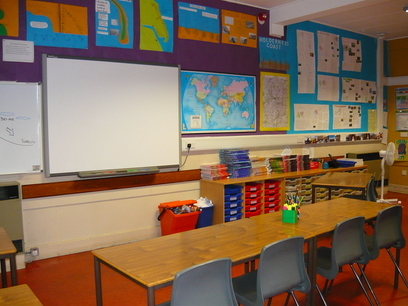 Geography in S1 to S3 is studied under the curricular area of Social Studies – People, Place and Environment. S1: Pupils study Geography in 2 six week blocks as part of their Social Studies rota. Theme 1 – Map Skills – learning to use ordnance survey maps and Atlases to measure distance, direction and heights. Pupils also learn how to describe the Physical and Human landscapes around them, using maps. Theme 2 – Weather and Climate – Pupils learn how the weather is measured and how the weather affects people. They also look at climatic areas around the world. 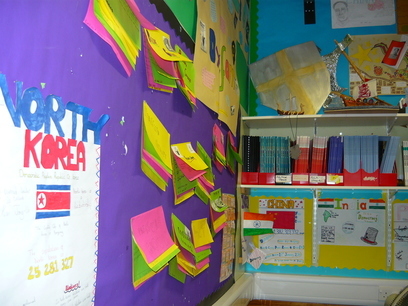 S2: Pupils study Geography in 2 six week blocks as part of their Social Studies rota. Theme 1 – Natural Hazards – pupils study examples of natural hazards such as volcanoes, earthquakes and tornadoes. They look at the causes, effects and coping strategies for people living near these hazards. Theme 2 – Rich World/Poor World – pupils carry out a comparative study of India and UK, comparing climate and life in rural and urban areas. S3: Pupils study Geography in 2 six week blocks as part of their Social Studies rota. Theme 1 – Aberdeenshire from mountain to sea – pupils study the glaciated and coastal landscapes of Aberdeenshire, studying their formation, land use and conflicts of land use. Theme 2 – Aberdeenshire – Earning a Living – pupils study the economy of the local area – the industries and economic activities through carrying out a range of fieldwork tasks e.g. visit to GlenDronach distillery, interviewing local people and looking at land use in Turriff. 1 Physical Environments – this includes studying the weather in greater depth, finding out how rivers have shaped parts of the UK and how Upland Limestone scenery has been formed. Pupils also study how the land in these areas is used. As part of this they find out about land use conflicts and who protects the landscape for future generations. 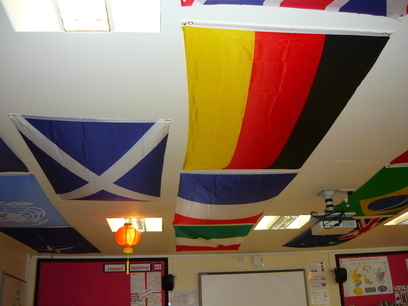 2 Human Environments – This involves pupils looking at how population is spread out across the world. It also involves pupils studying developed and developing countries, looking at the issues facing people in changing urban and rural landscapes. Environmental Hazards looking at earthquakes, volcanoes and tropical storms. Impact of human activity on the natural environment which looks at Tundra and Equatorial climates and their ecosystems. It also looks at how these areas are used, misused and managed. The N4-5 Added Value Assignment Pupils undertake research including field visits and write up a report based on their findings – see below for details. Physical Environment topics – Atmosphere, Lithosphere, Hydrosphere and Biosphere. Human Environment topics – Rural, Urban, Population and Industry. Environmental Interactions – River Basin Management and Urban Change and Its Management. Geographical Study – This is an investigative exercise and it requires pupils to research a topic in depth. This may be undertaken in the local area. They will have to use appropriate techniques to analyse, evaluate and present information and their findings. The Geographical Study will involve the candidate in collecting and processing information from field studies and/or published sources such as census data. The Geographical Study is worth 40% of the final award. Geographical Issues – This is an essay which critically evaluates an issue from a geographical perspective. This is worth 30% of the final award. 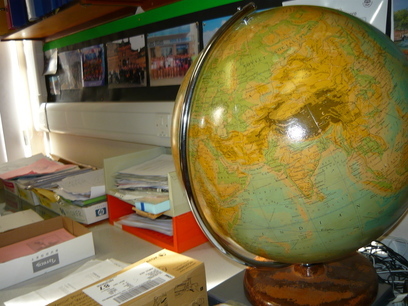 Geographical Methods and Techniques – pupils have to undertake a variety of fieldwork and statistical techniques and a number of map work techniques which will be used in the Geographical Study and tested in the final exam. S1 to S3 Geography pupils carry out fieldwork exercises in the local area. In June or September, the new National 4 and 5 classes in Geography go to the Cairngorms National Park, to gather valuable field work data for the assignment or added value component of their course. (worth 25% of the overall award at National 5). Higher Geography pupils are given the opportunity to spend two days in Edinburgh, looking at how the city has changed and how this change is managed. Edinburgh is a case study city which pupils will use in their exams. Advanced Higher Geography pupils are given the opportunity to join pupils from across Aberdeenshire for a three day field work course at Kindrogan Field Studies centre, covering the Geographical Methods and Techniques which they should be familiar with in order to carry out their own Geographical Study, pass the Geographical Methods and Techniques. NAB (national assessment bank item) and be able to write about these in the exams. The Geography department also offers a trip during the activities week. This trip has included travelling to Barcelona and London. History is the study of past events and societies. As well as giving pupils useful general knowledge about the past, a History course helps them to understand the world we live in now and form opinions about issues seen in the media. Builds knowledge and understanding of historical events, both local to global. Develops skills for the future, including literacy, numeracy, ICT, problem solving, team work, thinking and enquiry skills. Values pupils’ views when making decisions about difficult issues. S1 – 2 main themes are explored. Theme 1 – Scotland 400AD -1066 – this unit explores the development of the Kingdom of Scotland and examines the impact of the Romans, the Celts, Picts on the formation of Scotland. Theme 1 – Scotland from 1500AD to 1760 covering the events of the Reformation, Mary Queen of Scots, the Union of the Crowns, the Act of Union, the causes, course and consequences of the Jacobite rebellions with a visit to the battlefield at Culloden. 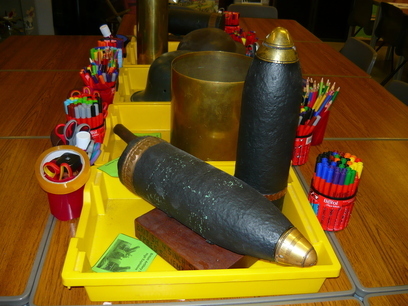 Theme 2 –Scotland & Britain during the Great War 1914-1918. The centenary of this conflict provides an appropriate opportunity to examine the impact of the war on our local communities. 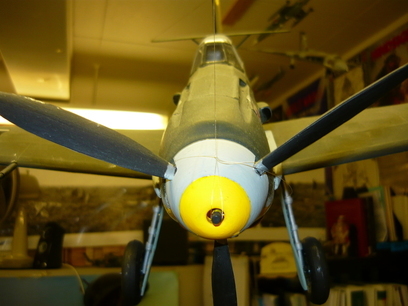 The study includes visits to the local memorials and war graves in local cemeteries as well as a project involving the Gordon Highlanders Museum. There is also the opportunity to participate in the study tour of the battlefields in France & Belgium. Theme 1 – Hitler’s Germany – an investigation into the rise of the Nazis, the nature of life in Nazi Germany covering the period 1918-1945. The unit involves a study of the Holocaust. History offers a range of options for pupils in the senior phase (S4-6) during which they prepare for National Qualifications. Advanced Higher: this comprises a detailed study of Germany from the end of World War 1 to the outbreak of World War 2, assessed by a 4000 word dissertation as well as an external exam. Battlescar productions – Historical re-enactors with living history presentations on a range of historical periods including Wallace & Bruce and the Jacobites. Builds knowledge and understanding of current events, both local to global. S1: 2 main themes are explored. Theme 1 – Democracy & Dictatorships – a comparative study of the features of these systems of Government. Theme 2 – Crime & the Law – an examination of the nature of justice system and role of the police in our society. Theme 1 – China – a study of government, society and economic issues of this new super state and a discussion of its future role in world politics. Modern Studies offers a range of options for pupils in the senior phase (S4-6) during which they prepare for National Qualifications. Democracy in Scotland and the UK – the focus being Politics in Scotland; looking at the work of people who represent us in a democracy, how people can participate in politics and the role of external groups such as pressure groups and the media. Social Issues – the focus being Crime and the Law. We will investigate causes and effects of crime in the UK as well as crime trends and patterns. We will also look at the legal side of the crime including the role of the police and the court system in preventing crime and punishing and rehabilitating offenders. International Issues – the focus being the development of Africa. We will look at the needs of developing countries and how international organisations and other nations can help meet the needs of less developed nations. Scottish and British Politics – the focus areas include: Electoral systems used in elections in the UK, voting and factors influencing the development of political attitudes and how these have changed over the years. Health & Wealth – the focus areas include contemporary issues in British society influencing the provision of welfare policies and the growing inequalities experienced in our society today. We look at what causes these inequalities as well as what can be done to reduce them. This unit includes a policy brief decision making exercise using numerous sources. International States USA – politics and society: an investigation into life in the USA including the immigration debate, social and economic inequalities and the political system. China – politics and society: research into changes between tradition and modern day China in terms of politics, inequalities and human rights issues. 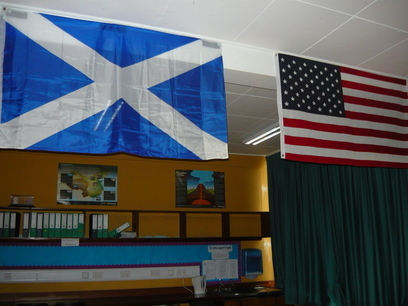 A comparison is made between political structures in the UK with those in either Scotland or the USA. Areas investigated include the judiciary and constitution, political assemblies and the role of the executive and political leader(s). Explores a variety of elections in the UK, the US Presidential election along with other electoral systems and theories of representation and voting behaviour. Crime and Law in the UK – focus areas include: causes and effects of crime, the development of the penal system and issues influencing potential changes in the future on how society will deal with those involved in crime. Pupils will get the opportunity to speak professionals within this topical environment and carry out field work research to courts and prisons across Scotland. The Modern Studies Department take the lead role in the organisation of Turriff Academy’s participation in Aberdeenshire highly successful Mock Election and Referendum as well as the Mock Trial which is held in the High Courts in Aberdeen. These projects provide opportunities for pupils to pit their wits against other schools and learn key skills including debating, speech writing and presentations and gaining an understanding of participation and representation. China: tour of the country with visits to the Great Wall, Forbidden City and Beijing. Religious, Moral, & Philosophical Studies (RMPS) has been through many stages getting to its current form. 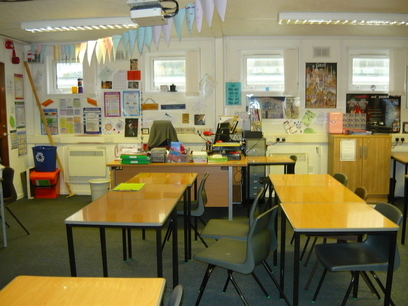 The Scottish Education Act 1872 defined the Scottish education system, a part of which was the provision of Religious Instruction. Education was delivered under the care of the Scottish church, as such the education system reflected those values. Religious Instruction evolved to Religious Education, which most are familiar with having been in such classes when they were in school. The purpose was to educate Scotland in the religious nature of our country. In the 1990’s RE evolved to RME: Religious and Moral Education wherein pupils gained experiences of not only religion but also a variety of moral issues that many of our pupils have themselves experienced. Turriff Academy has offered RMPS at Higher level for many years. 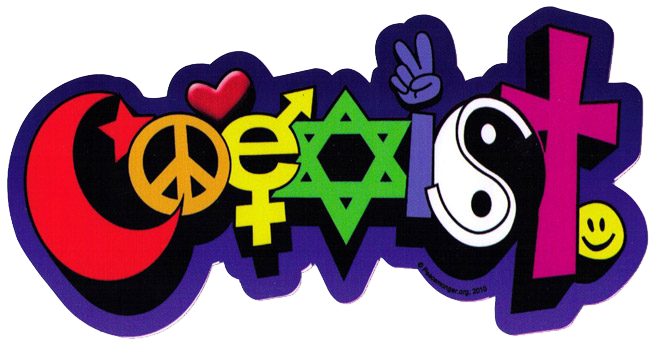 In the Higher pupils learn not only how religion is intertwined into the fabric of our society, but also how moral issues shape our culture, and philosophical questions try and evaluate both religions position as well as answers to these moral issues. This became the framework for our department. This department delivers courses that give all pupils the opportunity to explore their personal beliefs and values, and to develop an appreciation of the beliefs and values of others. They have the opportunity to consider many questions and issues of importance in the world today. They are able to extend their knowledge and understanding of religious, moral and philosophical issues so that they can evaluate ideas and express informed opinions. Bridging Unit into S3 on the holocaust. The Religion, Belief and Values Award helps learners to deepen their knowledge and understanding of how religion and values can shape and contribute to the lives of individuals and communities. The Award encourages learners to explore and reflect on their personal faith or values, and to deepen their understanding of this through practical engagement in local, national or global communities. This Award is available at SCQF levels 3,4, 5 and 6. 2.3 Analysing a relevant view which contrasts with their own and explaining why they disagree, in clear terms and with detailed reference to supporting evidence. 2.3 Evaluating how the activity has impacted on other people, in detailed terms 2.4 Evaluating how the activity has influenced their faith or values, in detailed terms. The whole S3 cohort take part in this new SQA stand-alone qualification. 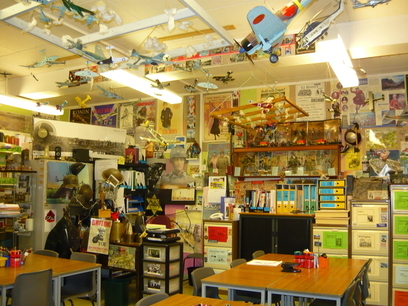 S4 : Core RMPS is taught to House groups, one period a week for seven weeks. During the core periods we cover a National 4 unit in Morality. We specifically look at the morality of marriage. The unit is assessed using an open book internal assessment. Higher: This course is made up of three units and an assignment which is taught over 5 periods a week. At Higher we study Religious and Philosophical Questions: An issues of Morality unit, Religion, Medicine and the Body and a World Religion which is Islam. We also look at the difference between Faith and Reason. The Higher course lends itself to a more analytical approach where pupils not only study opposing arguments on these topics but also seek to develop their own opinions, thus developing their skills of critical thinking. In the course we will look at what Muslims believe about Allah, life and the goals that they strive for within their lives. We will study the Islamic view that Life is a Test and that the real reward will be the Afterlife, Akirah. Our study will take us back in time to the days of Muhammad and we will learn about the Qu’ran and the Hadith as well as Islamic Law in the form of the Shariah. We will also look at modern problems like Islamaphobia and how this is treated by Muslims and non-Muslims a-like. Morality Medicine and the Human Body. Pupils will develop the ability to explain and apply the following key perspectives on moral decision-making. Utilitarianism – The Greatest Good for the Greatest amount of people. The assignment is worth 30 marks out of a total of 90 marks for the course and thus contributes approximates 33% of the overall marks for the course assessment. The assignment is a new component of the course assessment, in which learners will demonstrate challenge and application by demonstrating skills, knowledge and understanding within the context of a religious, moral or philosophical question or issue. 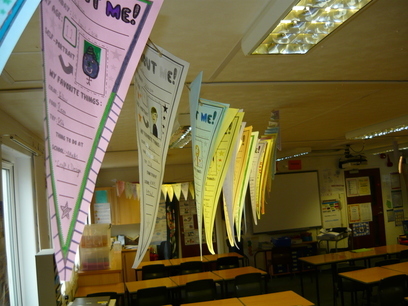 Learners will have a free choice of topic or issue. Research will be undertaken in the classroom and at home. The production of evidence stage will be completed under controlled conditions in 1 hour and 30 minutes. Learners will be able to take a resource sheet, containing notes on evidence and references, into the assessment. Field trips and visiting speakers are integrated into the course. Depending on time field trips may be arranged to the Aberdeen Mosque and to the Glasgow RMPS conference at Hutchison’s Grammar School. The department invites speakers from various organisations dealing with a range of topics from War to Genetic Engineering. The speakers represent both religious and secular ideas.